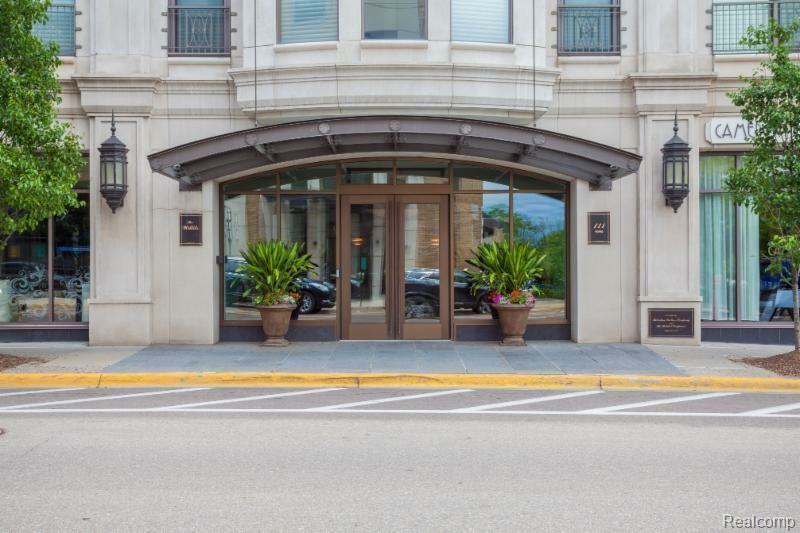 Exquisite 2-story southern exposure PENTHOUSE in the Willits is one of few offering complete unobstructed views of Shain Park & downtown Birmingham from all windows (+main level balcony & spacious upper level terrace). Living Rm w/soaring 2-story ceiling, floor-to-ceiling windows, custom built-in cabinetry & gas fireplace w/marble surround opens to Dining Rm. Family Rm w/access to private balcony. New bright white Kitchen (2017) w/stainless steel appliances, quartz countertops & snack bar. Main floor Master Suite w/2 walk-in closets & new all marble Master Bath (2017) w/jetted tub & shower. Loft (2nd Kit available, plumbed & electrical ready) w/Ensuite Bedroom, add'l gathering space & opens to terrace with gas grill hook up and outdoor water spigot for plants and flowers. Stunning white oak floors throughout most of main level. In-unit elevator. Washer/dryer & TVs included. 13 closets! 3 parking spaces in heated garage. 24/7 concierge, rear doorman & modern Exercise Room. Pet friendly.